You may well have already read about the plight of the humble house sparrow, once a ubiquitous garden bird, but now disappearing from around the country. 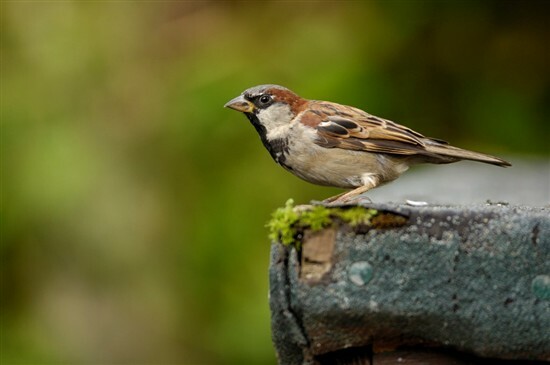 In fact, since the first RSPB Big Garden Birdwatch took place in 1979, house sparrow numbers have dropped by 57%, a figure which rises to 90% or even higher in some urban areas like Glasgow. We still don’t know exactly what the problem is, but we think it may be to do with a combination of factors. House sparrows like nice, thick hedges to hide and nest in, and lots of flowering plants around to bring in insects they can eat in the summer, and provide seeds for them to eat in the winter. Changes to our gardens and city parks over the last few decades have reduced these sorts of habitats, making it harder for sparrows to survive and thrive. 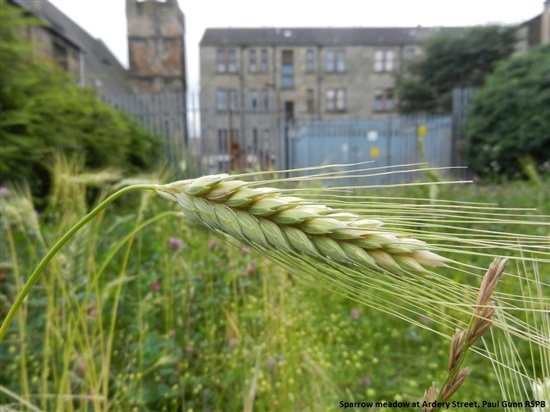 RSPB Scotland has been working with volunteers and the University of Glasgow to try to track down sparrow strongholds in the city, and put in place measures to protect them. We’ve already sown wildflower meadows at lots of different sites, and put up nestboxes. But you can also make a difference in your own garden, particularly if you already know that there are house sparrows in the area. House sparrows like to nest communally, unlike many other garden birds which create individual territories. You can provide them with a home by putting up either a specialist nestbox or making one of your own! House sparrows don’t need specialist food or feeders; they’ll happily eat sunflower seeds, or standard bird table mixes. 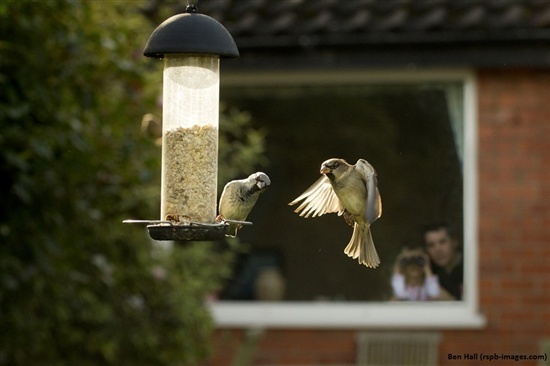 Remember to clean your feeders regularly to help avoid the build up of bacteria or diseases. There's some advice on this here. 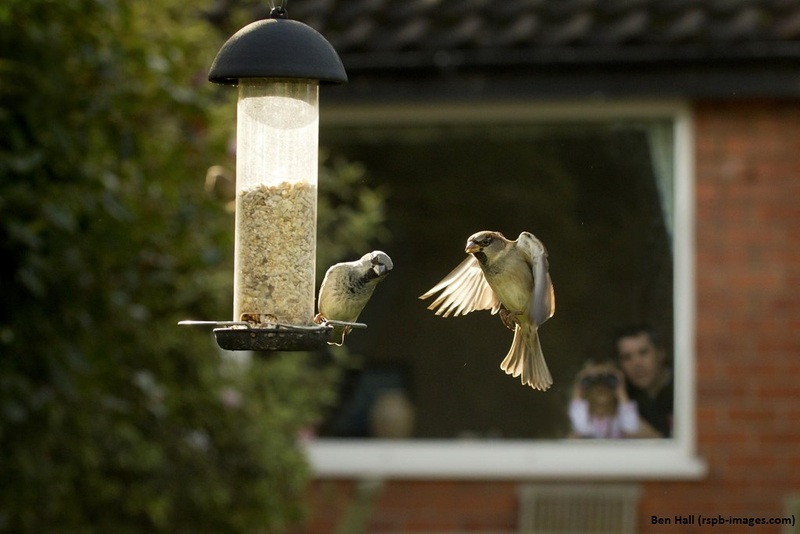 It’s a good idea to place your feeders within a metre of a hedge or bush, so that the birds have cover from predators. House sparrows like hedges, so if you have a hedge in your garden, you could have an ideal sparrow habitat! Let your hedge grow a bit thicker and taller and the sparrows will thank you for the extra cover, and remember not to cut hedges during the breeding season (1 March – 31 August). Hedges are also great for lots of other wildlife in the garden, so if you don’t have one already, here’s some advice on planting one. If you live in an area of Glasgow where we’re targeting work on house sparrows, you may be able to become more directly involved with our project. This could include a volunteer coming to your garden to put up sparrow boxes for you, as well as monitoring the population. To find out more about this, and to see if you’re eligible, please contact gnahg@rspb.org.uk.